If there’s one thing I love, for breakfast, lunch (great leftovers), or dinner, it’s a quick vegetable hash. The opportunities are endless, and they’re easy. It’s a great way to get a filling, healthy meal all-in-one. 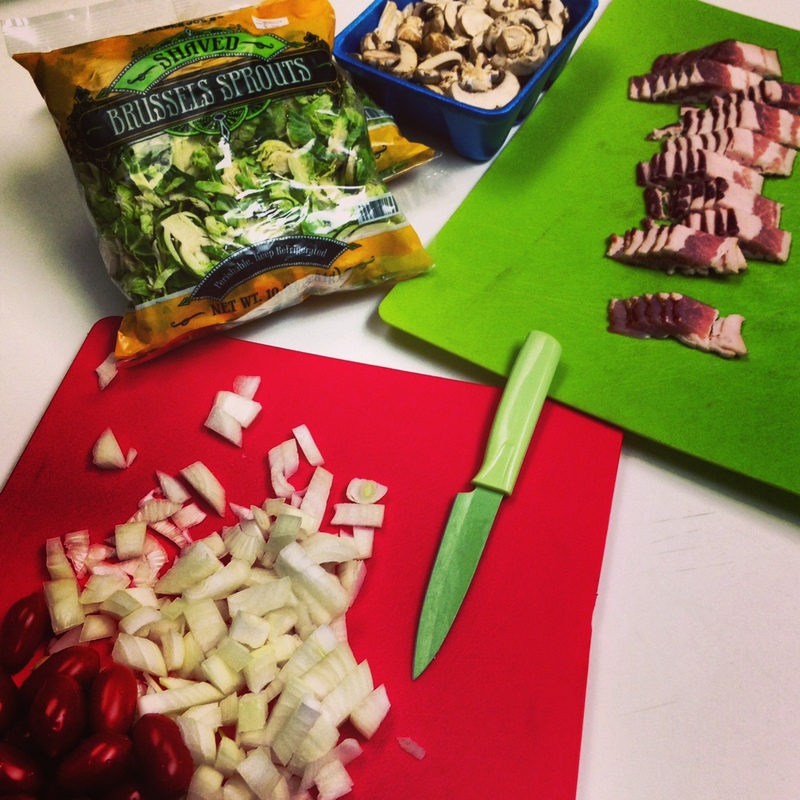 I began by cooking the chopped bacon in the pan, and then added the onion. I seasoned with kosher salt/pepp, garlic powder and chili flakes, and let the onion cook until it started to become transparent. 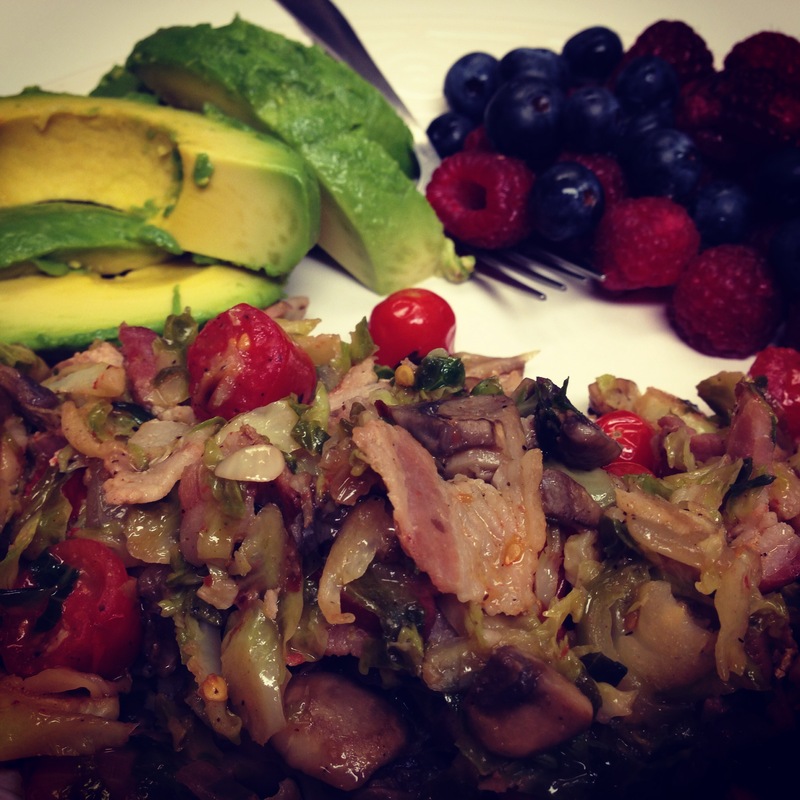 I added the entire bag of shredded Brussels sprouts, and continued tossing until they started to cook down. I added the mushrooms, and let them cook until they were no longer firm. Last, I added the halved cherry tomatoes, and continued gently tossing until the tomatoes were warm. Nom! 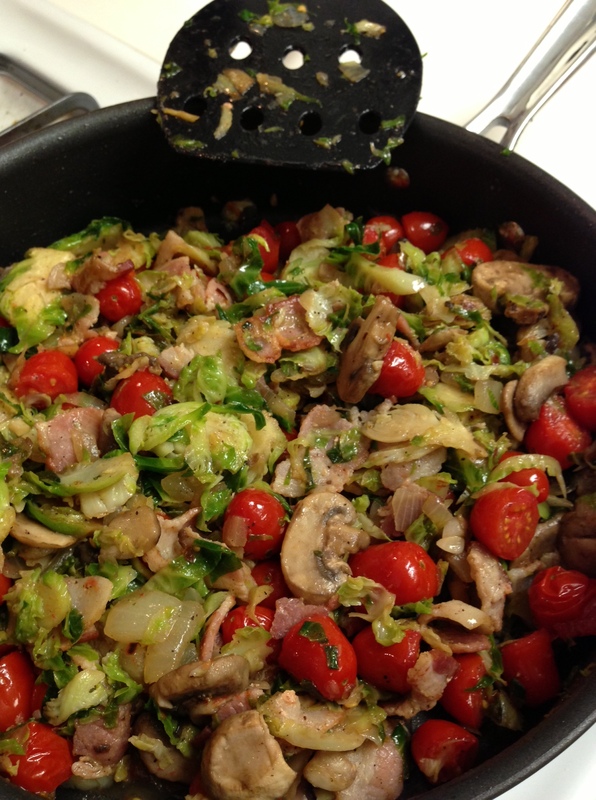 This entry was posted in Recipes and tagged Breakfast, Dinner, health, Healthy Fat, Leftover Lunch, Mushroom Tomato Brussels Hash, Paleo, Shredded Brussels Sprouts, Uncured Bacon, White Mushrooms by livinglikelinds. Bookmark the permalink.